When I was living in Australia I really wanted to read some authentic-type Aussie YA and report back. Which I did–but it just took me like six months to get around to posting it. SORRY. 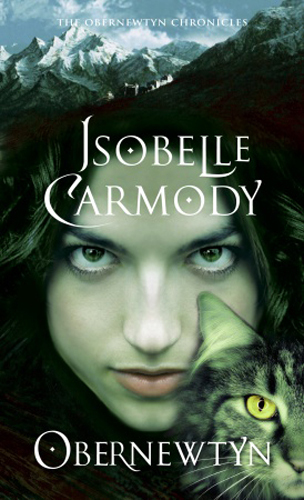 The Obernewtyn Chronicles have pretty much all you need in post-apocolyptic fantasy fiction—talking animals, psychic mind powers, evil overlords, etc. etc. I’m going to give you a pretty comprehensive run-down, because the books just get more and more complicated, and you’re going to need this later. For the test. So, after the Great White, a radiation-laced explosion that decimated and poisoned all of the cities and most of the land, people moved out to the most rural areas seeking untainted water and food. The farmers that lived there set up a Council to control the newcomers and impose rules and regulations on their behavior. Any person or animal suffering from radiation mutations is ritualistically burned by the Herder Faction—the ‘priests’ of the community. Gradually, it became noticeable that some mutations weren’t physical but mental, and everyone lives in fear that they will be labeled a Misfit. Louis Lowry Does It Again? Something? 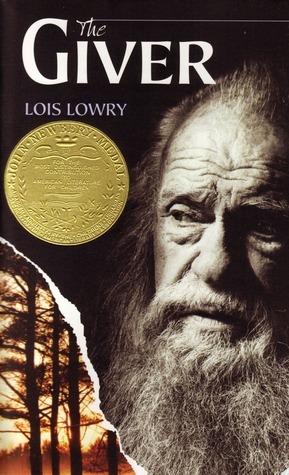 I think The Giver (Louis Lowry) was my first foray into dystopian-future-YA. I read it with my ‘gifted’ English class in seventh grade. And, ermagard…I freakin’ loved it. I’m pretty sure I stole that book. Let’s just pretend I bought my own copy. And then re-read it like a bajillion times. And then I read Gathering Blue, which was pretty good, in a different way, and then The Messenger, which was kind of ‘eh,’ and now I’ve just finished Son. Son, according to GoodReads, is the conclusion of this series. That being said, I was really looking for some ANSWERS Lowry. Some ‘tie-everything-together-answer-my-big-questions’ CONCLUSIONS. I’ve been working 15-16 hour days for two weeks now, so when people ask me questions like ‘what’s your name,’ or ‘have you read my email’ my face freezes for at least five seconds while my overworked underpaid brain tries futilely to churn out some sort of socially appropriate answer. But, good news, we have a new toilet! So I don’t have to wait until I get to work to pee anymore which is super whichever way you look at it. It’s a testament to how much I’ve been out of the house lately that the toilet just mysteriously appeared one day and I know nothing about its origins but I’m not about to question it. I’m just going to assume it descended from heaven like a magical Jesus toilet and be happy with that. Again—not a lot of sleep people, so yes, I just talked about my toilet for five minutes and worked Jesus into the equation. 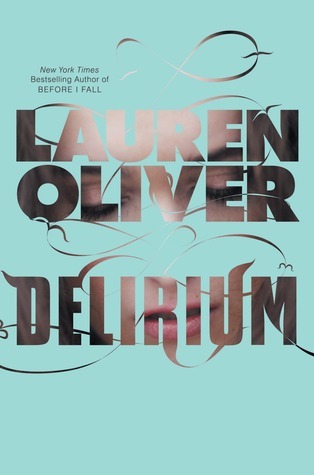 So appropriately, since I’m semi-delirious, I’m going to smoothly segway into my review of Delirium by Lauren Oliver (HarperCollins 2011). See what I did there?! Originally, most of my review was just me squealing. I totally had amor deliria nervosa for this book. Which, if you were in the Delirium-verse just means I loved it. Illegally. In the not-so-distant dystopian future love has been categorized as a disease: a bad-decision-making, irrational-reaction-causing, fatal disease. But luckily for us, scientists have found a cure—a procedure whose description sounds suspiciously like a lobotomy, though Oliver never makes that connection. Seventeen-year-old Lena can’t wait to have her procedure. The doctors won’t perform on anyone under the age of eighteen unless the disease has become a dire case—since operating early causes ‘brain damage, partial paralysis, blindness, or worse.’ Since Lena has seen the disease bring about the death of her mother and her cousin, she is fearful of contracting it herself. All that stands between her and a lifetime of safety and quiet detachment is her evaluation—where a panel will assess her in order to pair her with her future mate. A good match could elevate her family, something her Aunt Carol pushes for relentlessly. But during her evaluation, Lena can’t focus. Instead of giving her practiced ‘safe’ answers, i.e. that she finds the cautionary tale of Romeo and Juliet frightening and that her favorite color is blue (“black is too morbid, pink is too juvenile”), she panics and describes the color of the sky over the ocean. While her review crashes and burns, she is saved by, oddly enough, a herd of cows. When she looks up, for a moment she sees a boy smiling down at her from the observation deck. Though the officials try to pass the cow stunt off as a delivery mix-up, everyone knows it’s a prank by the Invalids, the sympathizers who don’t believe in the procedure or love being a disease, who are rumored to live outside the electrified fence. Lena is just relieved to have a second chance for her evaluation, but in the weeks that remain before her 18th birthday, her life begins to change in unexpected ways. Her best friend Hanna introduces her to verboten music and secret societies, and despite her best efforts, she is drawn close to the boy she saw watching her evaluation—Alex. I have to stop now or I will give everything away, but you can pretty much surmise that love—not so much a disease as she thought. I really loved Lena, and unlike some other dystopian America’s I’ve visited recently (*cough* Bumped *cough*) her world and secondary characters are layered and believable. Though Lena’s internal dialogue sometimes borders on sappy melodramatics, this is young adult, so I kind of secretly enjoy it. She’s a character that is easy to sympathize with and root for. The love at first sight, passionate do-or-die declarations, and power of illicit indie rock will appeal to teens (and maturity-stunted adults much like myself).